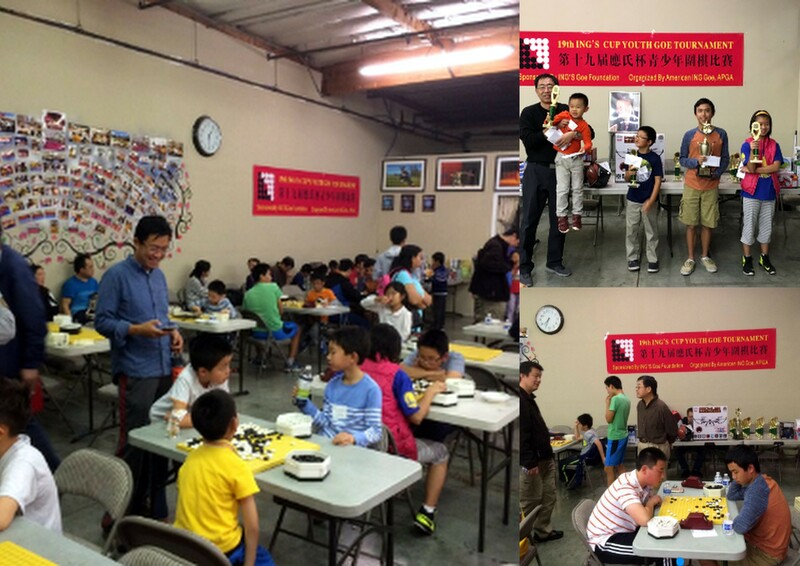 The 19th Ing’s Cup Youth Go Tournament was held Sunday, November 6 at the Kungfu Fei SiFu Academy in San Jose, CA. One of the most prominent youth go tournaments in the US, the tournament is directed annually by Mingjiu Jiang 7P and sponsored by the Ing’s Goe Foundation. This year, the top division included current Redmond Cup champions Jeremy Chiu and Ary Cheng, former Redmond champion Aaron Ye, as well as former US representatives to the World Youth Go Championship Matthew Cheng, Raymond Feng, and Eric Liu. Jeremy Chiu 7d won Division A with a perfect 3-0 record; Daniel Liu came 2nd and Aaron Ye 3rd with 2-1 records each.